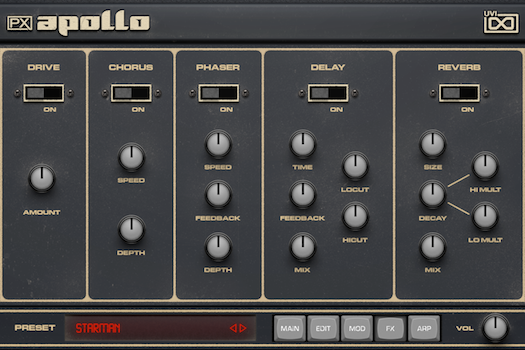 PX Apollo is based on a rare synthesizer prototype from the early ‘70s of which only 2 are known to exist. Part of a larger project that was eventually abandoned, this instrument was the precursor to one of the world’s first and most prolific polyphonic analog synthesizers. 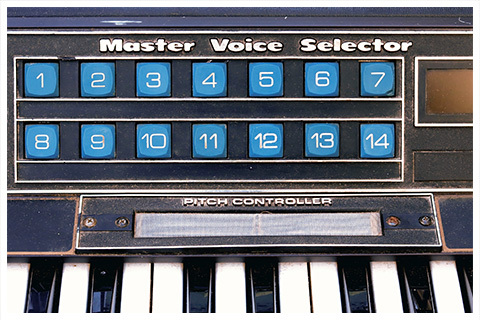 With a sound that can be described as rich, warm and surreal, this instrument was extraordinarily playable for the time, sporting velocity sensitivity and a performance interface, while its polyphonic 71-voice architecture signaled the coming paradigm shift in synthesizer design that would soar during the following decade. The PX Apollo project represents an enormous effort and commitment to quality on many levels. 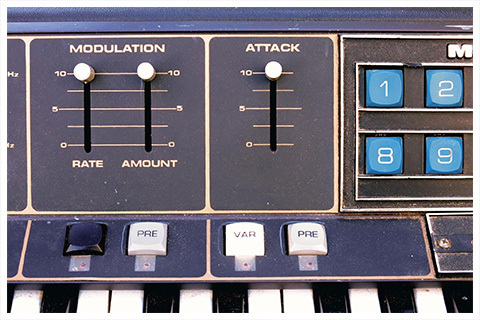 Due to the components available at the time of their design, early polyphonic synthesizers were and remain particularly susceptible to failure and require continued maintenance. 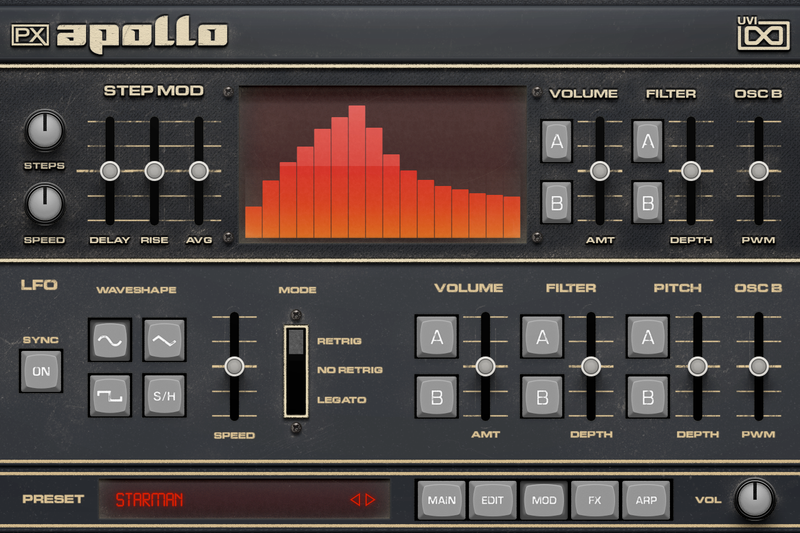 The unit used for PX Apollo was no exception, initially inoperable it required a tremendous restoration effort and no expense was spared to ensure complete authenticity and original functionality. With the restoration complete we set about to document this historic instrument as accurately as possible. 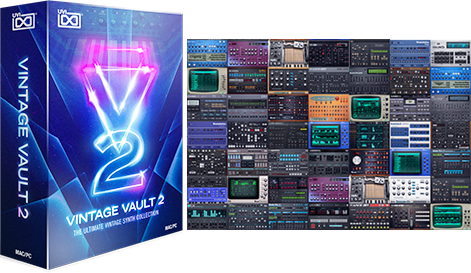 We created a huge master sample catalogue with the best hardware available. Each key was sampled in a multitude of configurations and for each 4 round-robins were created per note. 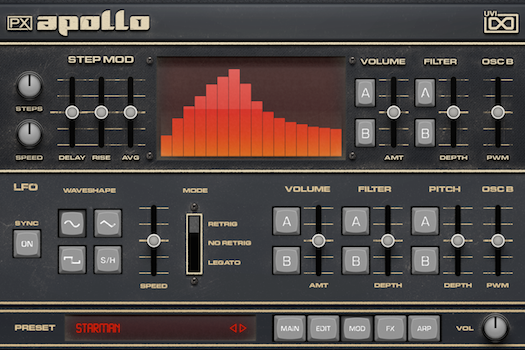 The resulting PX Apollo sound bank consists of over 4,000 samples. From this library over 150 patches were made by our sound design team, delivering a fantastic collection of ready-to-play patches. 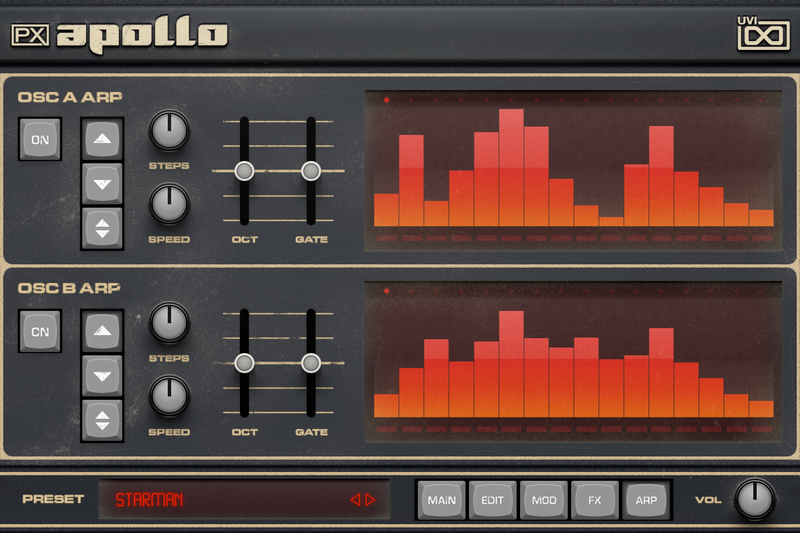 The UI for PX Apollo was inspired by the aesthetics of the original hardware, while the layout and control schema were designed to provide intuitive and efficient use while maximizing flexibility, allowing for both quick edits to preset sounds and deep customization by way of a full compliment of synthesis tools and effects including 3 oscillators, envelope generators, high-quality filters, pitch and stereo controls and per-oscillator modulation and arpeggiation. 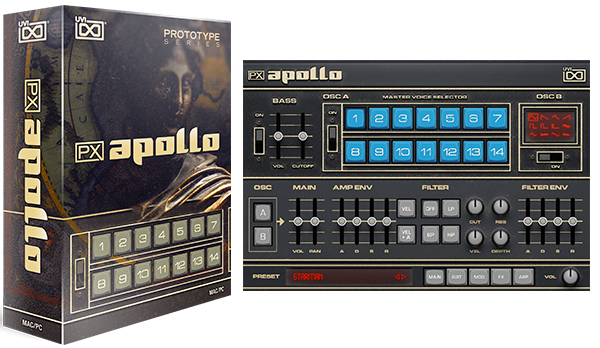 PX Apollo provides a glimpse into a key moment of synthesizer history at one of the industries most important turning points, delivering a rich and detailed sound with a warm and pronounced character. "PX Apollo is one of those really rare synths that is beautiful modelled here! The bass sounds sounds so good and fat with beautiful harmonics in them. The moment I heard it went straight into my template!" 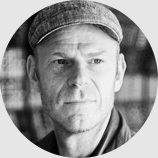 "I often feel the original hardware is no longer needed or wanted, they're THAT good. Kudos to you all... Keep 'em coming." "As a collector I always dreamed of having a Polymoog, but every one out there is in bad shape or damaged. It's very hard to find a good one! 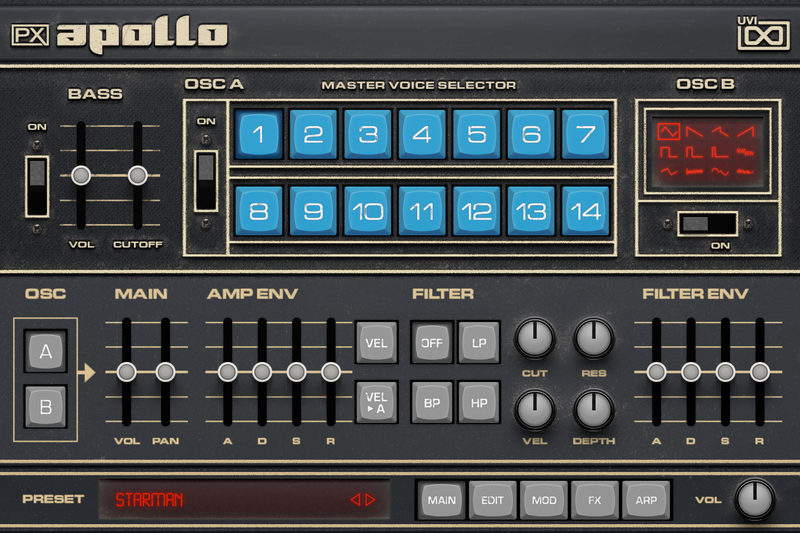 My hunt is over with the PX Apollo! It sounds just perfect." 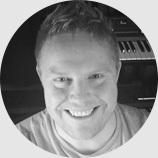 "I’ve really enjoyed having a piece of synthesizer history as another color in my timbral palette. 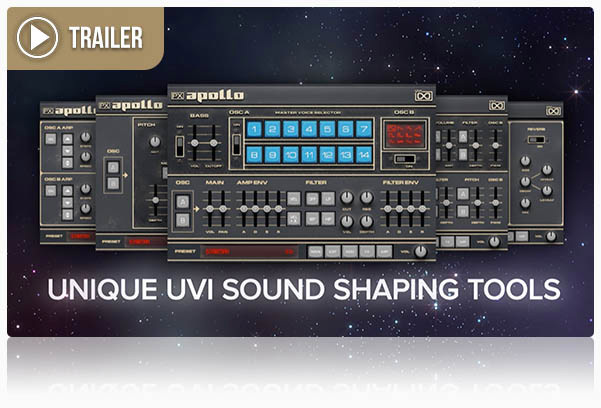 The 14 Master Voice presets perfectly capture the sound of the original instrument and UVI’s factory presets all begin with the original sounds but take advantage of the host’s architecture to make them more exciting." "It is affordably priced, has great sounds and much, much range of musical possibility. PX Apollo has plenty of sound manipulation possibilities right in the native user interface." "PX Apollo sounds gorgeous - warm, lively and very 'Moog'." 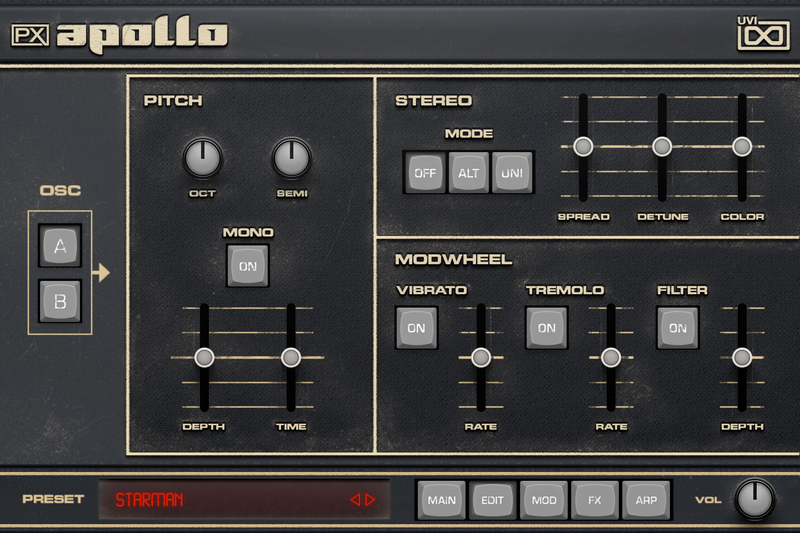 "PX Apollo sounds great and produces a hott of warm vintage sounds or more modern sounds at the drop of a hat. 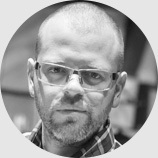 It’s easy to work with, but fully customizable." 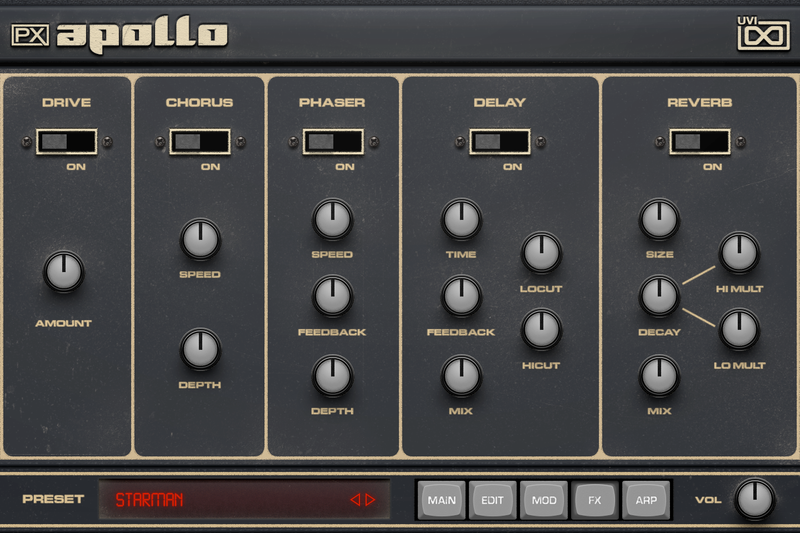 Moog and Apollo are trademarks of their respective owners. UVI is not affiliated or endorsed by any entities listed here.